While few would argue that Windows 7 was a considerable improvement over its predecessor, Vista, the current version of Microsoft’s desktop operating system still finds itself missing one key feature – it just doesn’t play well with touch. In an interview with AllThingsD’s Ina Fried, Microsoft showed off some of the new touch-inspired improvements in Windows 8, aimed at bringing the operating system a much needed shot in the arm when it comes to taking on Apple’s iOS devices. The first thing of note to come out of the interview is Windows 8’s new Start screen which bears more than a passing resemblance to Windows Phone 7’s tiles. 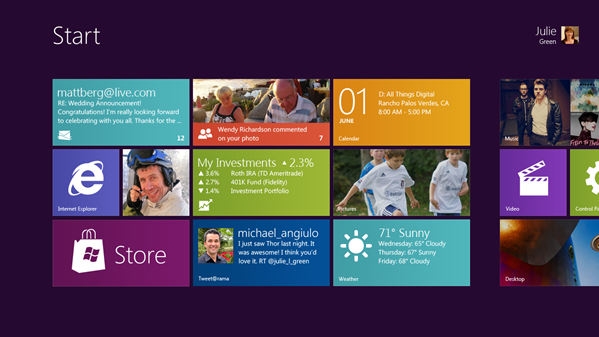 While not quite WP7’s Metro UI, the similarities are certainly there, with apps being represented by large tiled icons, perfect for stabbing at with a finger. Once tapped, applications can have two states – in one state the app acts just like any tradition Windows application would, whereas the other state is more like the full-screen mobile apps we’re all used to. Internet explorer 10, apparently, is one app that is designed to run in the latter. The eagled-eyed out there will have also spied the ‘Store’ icon in the above screenshot – a sure sign Microsoft intends to take a leaf out of Apple’s book by offering desktop-class applications via its own on-device store. Apple’s Mac App Store, not to mention its iOS store, has been a runaway success since its inception and we see no reason why Microsoft can’t replicate that success for Windows. 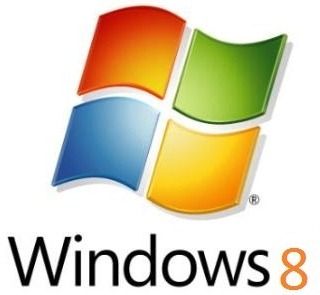 Other Windows 8 changes include the new support for ARM processors such as those from NVidia and Qualcomm, meaning tablet devices can take advantage of their low power consumption and still offer Windows 8 instead of Google’s Android. Old stalwarts Intel and AMD will obviously continue to be supported. Microsoft’s Windows President Steven Sinofsky wouldn’t tell AllThingsD when Windows 8 is expected to ship but we’re sure the Redmond outfit won’t want to let Apple and Google dominate the tablet space for too long or they risk having to fight from an extremely weak position – a problem they are experiencing in the smartphone market with Windows Phone 7.